We are Manufactures of P.P. Products Making Machine Since 1963. This Machine is Pneumatically Operated, all Parts used is Branded and Heavy Duty and Long Lasting Service Maintenance Free Machine. 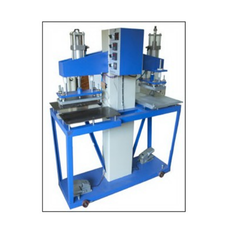 This Machine Having Two side Separate welding Systems and Both Machine Electrically & Pneumatically Separate Connected, One side Pocket and Window Welding and other side Creasing single Double Line Creasing only Changing of Dies. With this machine, we give 1 die for "L "pocket and Visiting Card Window Die, for Single Line Creasing and Double Line Creasing, Doctors and Hospital Files Welding Machine. other office files etc. 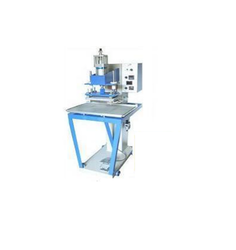 With our rich experience, we have acquired expertise in designing and manufacturing of spine welding machine. The machine is specially designed for sealing the spine label pockets. Adjustable spine from 1" to 3"
We are paramount in offering a wide range of PP Stationery Items Making Machines. 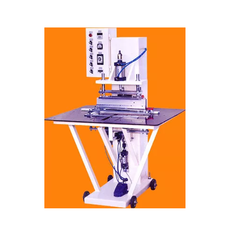 These machines are extensively used for making Ring Binders, Calenders, Office Files, Folders, Hospital Files, My Clear Bags, Expanding Bags, Shopping Bags, CD Covers, Computer File, Clip Files, Envelope Bags, Document Case, Clear Holders, Clear Files, Pen Case, Zipper Bag, Expanding Files, Data Banner, Artists Portfolio Case, Portable File, Action Case, Display Books, Refillable Display Book, Plastic Envelopes, Sheet Protector, Presentation Folder, Magazine Files, Clipboard Folder, Business File, Clear Flat File, Report Cover, Clamp & Name Badges, Clamp Binder, PP X Ray Cover Bags etc. Our machines are available at the market leading prices and are renowned among the clients for their high production capacity. These machines are manufactured by making use of the advanced technology. The machine is specially designed for center sealing of clear leaf, files and many more. Considered as a substitute of anultra sonic machine, it is available in heavy duty and light duty. Substitute of ultra sonic machine. Heavy and light duty machines available. All electronic components are R.F interference free. We are leading supplier ofPVC File Folder Making Machine. We are offering this item to our client as per their requirement. Other configurations are also available as per customer's requirements. All these configurations can be operated individually at the same time for obtaining the products. P.P. 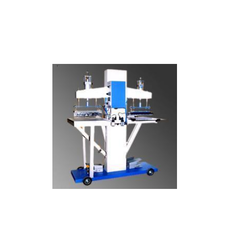 Ring Binder Creasing Machine is the latest and multipurpose model of our Poly Propylene stationery making machines. The pneumatic pleating machine is for inside reference pocket for and other reference pocket needs pleat of expanding index folder. We are engaged in the manufacture and export of pleating machine. This machine is used for inside reference pocket and for other reference pocket needs pleat of expanding index folder. We have the ability to offer the product in customized options, as per our client's specifications. This pneumatic pleating machine is for inside reference pocket for and other reference pocket needs pleat of expanding index folder. We offer two side-expanding index folder machine, which is used to make inside of index folder. It is a hydraulic machine having power pack system. It can develop 1 to 14 pockets at any given time. As per our client's demands, we can customize the machine to suit their needs. We are Manufactures of P.P.Products Making Machine Since 1963. This Machine has Pneumatically Operated all Parts used is Branded and Heavy Duty and Long Lasting Service Maintenance Free Machine. Application- Doctors and hospital files welding machine, other office files etc. 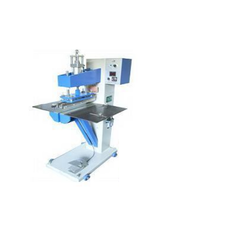 We offer two side expanding Index Folder Machine, which is used to make inside of index folder. It is a hydraulic machine having power pack system. It can develop 1 to 14 pockets at any given time. As per our clients demands, we can customize the machine to suit their needs. 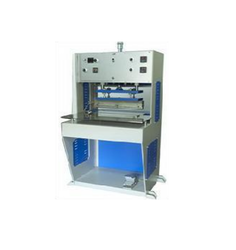 1 to 14 pocket interior two side folder sealing machine. Hydraulic with power pack system. Leveraging on our industrial experience, we design and develop P.P. 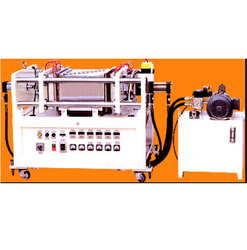 Files In Side Pocket Sealing Machine, which is used for sealing of window sealing pocket on P.P. stationery items such as files, folders, card holder etc. Looking for Polypropylene P.P. Stationery Making Machine ?